I'm a visual artist, and had made myself a website with iWeb to give my work an online presence. With Mobile Me shutting down, I needed to find software that would allow me to remake my site. In google I found Mac user forums discussing replacements for iWeb. Since I don't know code I narrowed my search to software that didn't demand that process. I wanted a plain black background, which is best for my design requirements, and best for displaying artwork. While I didn't find that with the basic themes, I did find a plug-in I could work with. 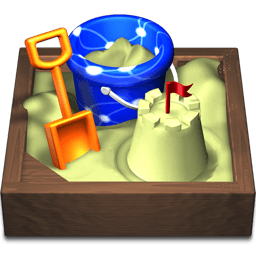 I experimented first with a Sandbox trial version and found it straightforward and easy to use.